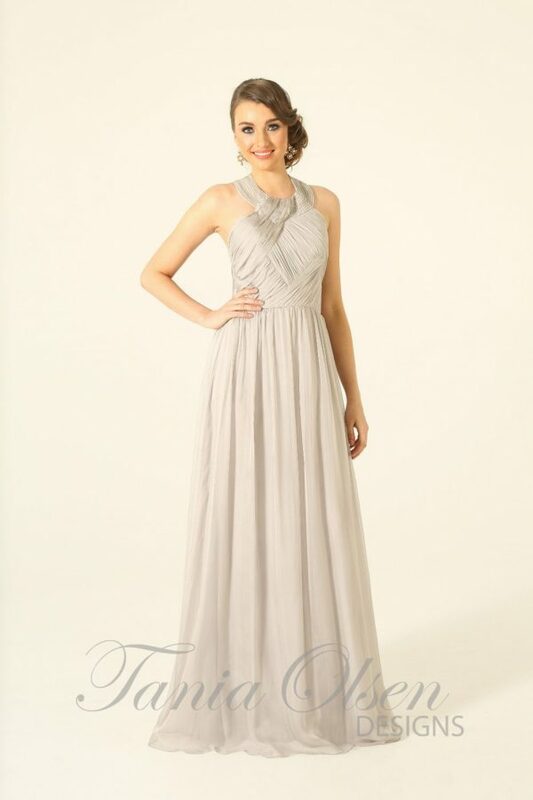 Exude feminine elegance in the Harlow Bridesmaid Dress. 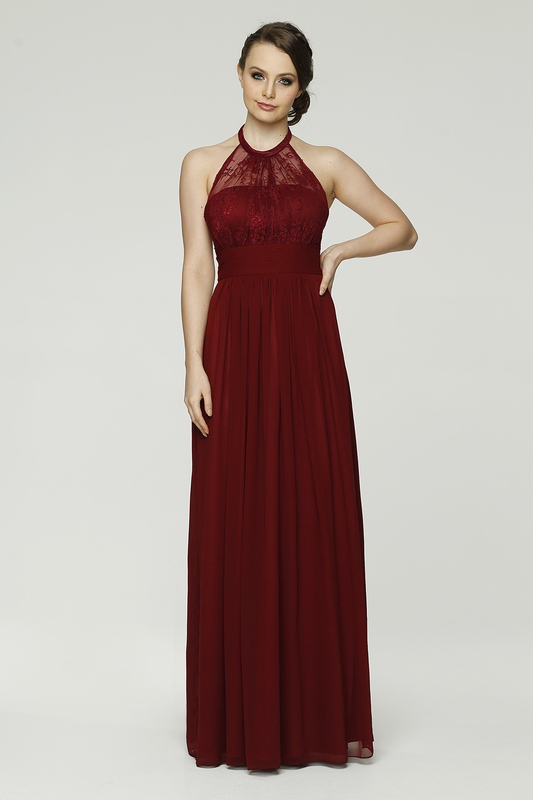 Featuring a delicate lace halter neckline, it also makes a beautiful formal or ball gown. A truly feminine piece, the Harlow Bridesmaid Dress embraces all things romantic and elegant. Fabricated from a soft lace and georgette, the Harlow style features a delicate lace halter neck, and a low back, accentuating the décolletage and shoulders. A defining waistband draws in the waistline before falling to the floor with a full-length georgette skirt. 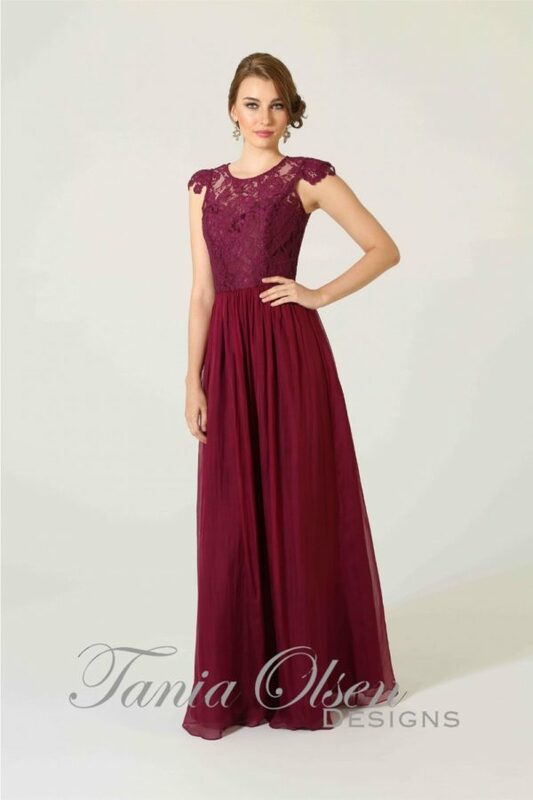 Due to its subtle and refined beauty, the Harlow Bridesmaid Dress is an ideal dress for large wedding parties. With 23 colours available, match your bridesmaids, or mix-match for the perfect bridal styling. 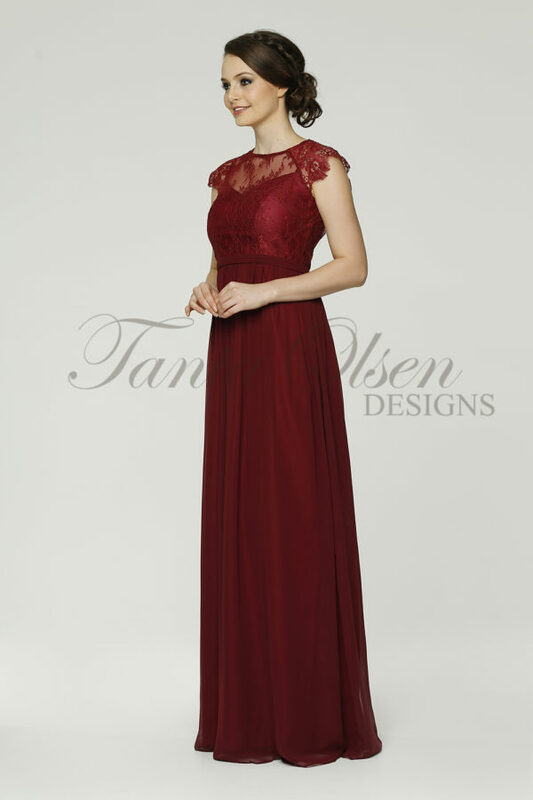 The gown’s cut and design is flattering to a variety of shapes and sizes (4-30). To figure out your size, measure you bust, waist and hips and refer to the sizing chart – make sure the waist measurement on the chart is the same or larger than your own. Contact Sentani to make a custom coloured order – please note custom coloured orders take 7-12 weeks for delivery.